My Kids Stole My Brain: This ain't no pirate booty! This is what we saw while cruising around the British Virgin Islands last week. 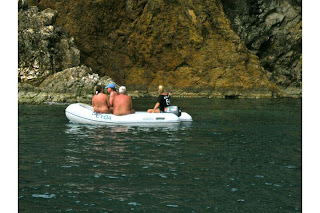 This area is called "The Caves" - you can actually snorkel into caves in the side of the island. It was very cool until we stumbled upon this - ha!